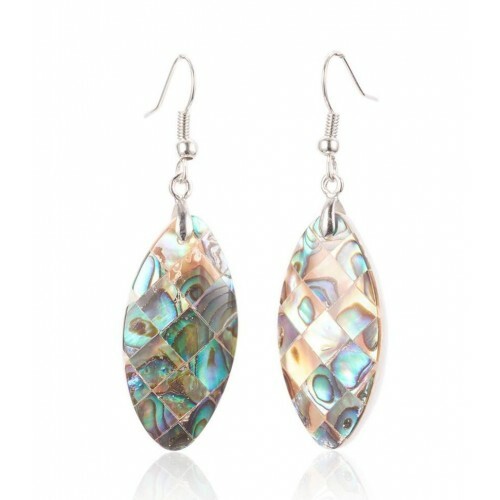 These stylish real abalone earrings are also referred to as paua shell and originate from New Zealand. 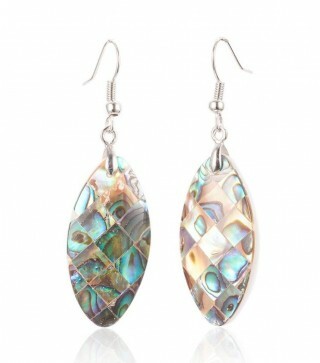 They feature an iridescent sheen and the silver plated fish hook ear wires complete the design. Each pair of these long stylish, shell earrings measures approximately 54mm (including the ear wires) and are ideal for casual or formal wear.